There are 164 grammar schools in the United Kingdom, offering the opportunity to the most advanced students to continue in a more selective school after the age of 11. These schools use the eleven plus exam to identify these advanced students, reduce the numbers of applicants and provide a more focused learning process. In fact, many children will be expected to take the test even at the age of 10, or in the September of Year 6. If you are planning to help your child get admitted to a selective school in Lincolnshire, below you can find all the necessary pieces of information. In the area of Lincolnshire, there are 14 Grammar Schools and an additional Bi-Lateral School King Edward’s VI Humanities College running in Spilsby. 13 of the 15 schools in the county have joined the Lincolnshire Consortium of Grammar Schools, which looks to standardise testing and selection methods across the region. The 2 schools not part of the consortium are the Boston Grammar Schools (part of the Boston Grammar Schools Federation) and Caistor Grammar School. Boston schools have signed up to use the testing methods of the LCGS but have tailored this to their own requirements. Caistor Grammar School administers its own tests. All children require registration, so as to take the eleven plus exam. Registration packs with detailed information on the admissions process and required registration forms are circulated through primary schools in the represented areas. Be sure to speak to your child’s primary school to make sure when this will happen. Alternatively, you can access the Lincolnshire Consortium of Grammar Schools registration form here. Any downloaded registration forms should be returned via your child’s primary school. If your child is ‘out of county’ and looking to apply to a Lincolnshire grammar school it is required that you approach the selected grammar school directly. See the links above for more information. Following registration, preparations, and the sitting of the exam in September, results are posted out in October. The results are received and grammar school places offered before secondary school application forms have to be submitted to the local authority. The eleven plus exam in Lincolnshire follow the NFER (National Foundation of Educational Research) guidelines. This is similar to the Durham CEM format found in many other counties, focusing on Verbal and Non-Verbal Reasoning assessments within the exam. There are 2 exams to be sat that are normally a week apart from each other. One exam will be Verbal Reasoning and the second is Non-Verbal Reasoning. The Durham CEM also focuses on Maths and English skills. It is essential that children study comprehensively in order to be in the best possible position for the eleven plus exam no matter their location. There are multiple 11+ home-based learning products that make the learning process run smoothly and productively for your child over the course of Year 5. Another approach to the child’s preparation for the exam would be to join face to face tuition courses. Among the benefits of joining either, children develop their comprehensive skills and acquire the necessary learning to master each area of the eleven plus exam. It is always useful to remember that the pass marks issued by Grammar Schools are set to capture the top 30% of students sitting the exam. Working hard and preparing properly is the best way to make sure you improve your chances of being in that top third. With the support of a tutor, be it remotely through home-based learning or face to face, all the questions you or your child may have can be answered. We certainly see a correlation between a parent’s stress levels and a child’s stress levels in the run up to the exam, by providing lots of support we look to minimise both. 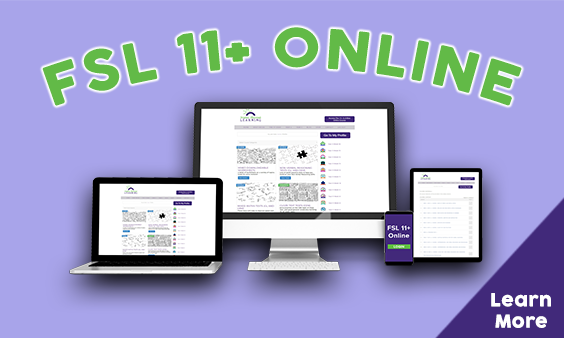 In addition to the learning materials, we also provide practice tests and mock exams to further increase confidence and ensure your child is ready to take the eleven plus exam. So, the first place to start is looking into admissions for the eleven plus. If you are a parent interested in the admission process of eleven plus in Lincolnshire, you can contact your school and ask for the specified timeline in which you need to register your child. Then, you are ready to start preparing.